Today at the Georgia Capitol, the Senate passed SB48, which will mandate screening for all Georgia students Pre-K – 2nd grade! 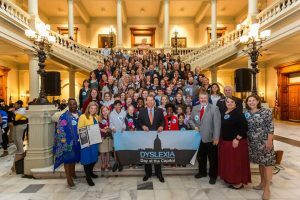 Thanks to all the hard work by groups such as Decoding Dyslexia-Georgia and International Dyslexia Association-Georgia Chapter. This will help dyslexic students get identified sooner so that intervention can begin sooner, which will increase the chance of a child achieving full reading potential sooner. Screening such as this (had it existed) may have identified many of our students, allowing them to obtain appropriate instruction sooner. The bill now crosses over to the House, where it has to go through two committees and then be voted on by the full House. Let your Representatives know you support this bill (look up HERE), and also contact committee members. 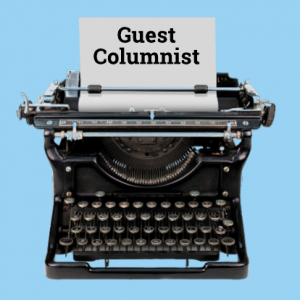 Augusta, GA (February 16, 2019) – One of our parents, Jan Murphy, was featured as a guest columnist in the Augusta Chronicle with her column titled “This scholarship helped my family, and here’s how to improve it”. 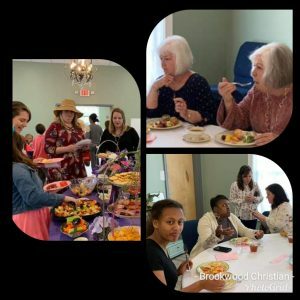 In her column, she outlines her struggle with finding a school that would educate her daughters, and how that struggle led her to Brookwood Christian and Georgia’s Special Needs Scholarship (SB10). “I remember those hard days: standing at the bus stop with my daughters, telling them that all we had to do was make it through one more year. If you don’t fit into the box, you fall through the cracks. And my daughters were quickly slipping through the cracks. “We started exploring private school options, but tuition was beyond our means. 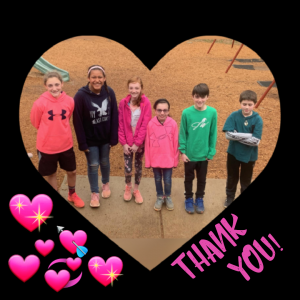 That’s when we learned about the Special Needs Scholarship Program, which enables children with special needs who have attended public school for at least one year to transfer to another school (private, traditional public, or charter) that better fits their needs. Read more about the Georgia Special Needs Scholarship HERE. Georgia HB 301 was introduced into legislation this week by floor leader Jodi Lott-R (District 122). This bill would allow parents to use state funds in a manner similar to “vouchers” in other states. 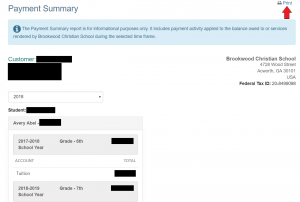 Students are eligible if they were enrolled in a Georgia public school the year prior to enrolling in private school. This requirement would not apply to groups such as low-income families, the learning disabled or victims of bullying. The funding would be similar to that of SB10 (Georgia Special Needs Scholarship), the state portion the local school district gets per student, which averages approximately 54 percent of the total when federal and local dollars are included. Professional organizations such as the Professional Association of Georgia Educators (PAGE), oppose this bill claiming that it will “peel away the easiest students to educate” while dismissing the fact that so many students that will be using it are like those attending schools like ours because they were NOT being adequately served. Many of these students are currently receiving funds from SB10 and the Tax Credit Scholarship, which they also oppose. This bill would help families not eligible for SB10, and possibly offer additional support to those who do receive SB10 funds. 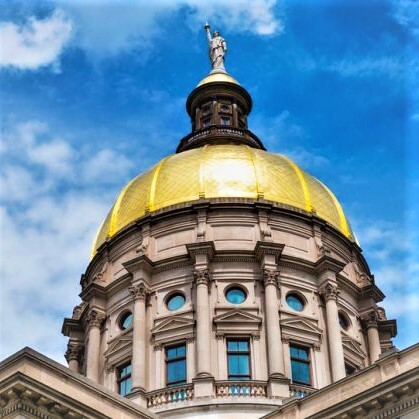 ♦ There seems to be a lot of bipartisan support for SB48, which will mandate screening for all Georgia students Pre-K – 2nd grade. This will help dyslexic students get identified sooner so that intervention can begin sooner, which will increase the chance of a child achieving full reading potential sooner. There is a public meeting of the Senate Education and Youth Committee in Room 307 of the Coverdell Legislative Office Building today where this bill is on the agenda. There is still time to reach out to your senators (look up HERE) and even representatives, and it heads to the House next. You can watch the proceedings HERE at 2PM. Senator P.K. Martin, IV is chair of this committee and the other committee members can be found HERE. 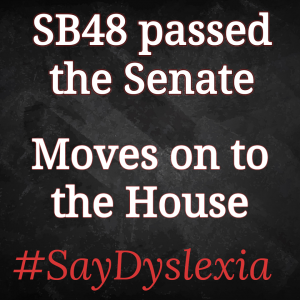 ♦ It appears that SB139 from last Spring Session did NOT pass but rather got caught up in politics during the last few days of the legislative session. Section 2 (lines 60-81) of this bill would have amended the SB10 rules so that students returning to public school, non SB10 private schools, or homeschool, would NOT have to return to public school for an entire year in order to get SB10 should they return to Brookwood, or another SB10 accepting private school. HOWEVER, this is still on the list to include in legislation. We will be following closely and keep you updated. 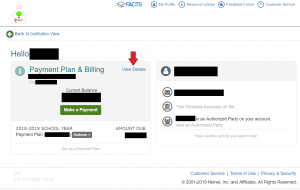 When we have the new bill number we will let you know so you can reach out to your legislators. 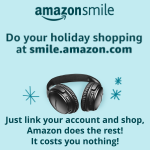 If you wish to follow this more closely yourself, we suggest joining the Facebook Group Supporting Georgia’s Special Needs Scholarship. 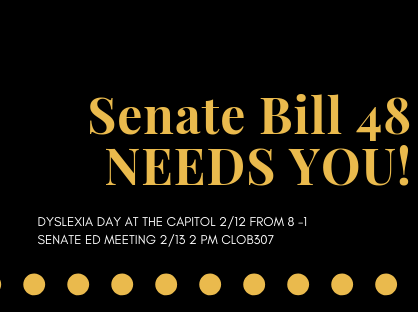 ♦ As Brookwood Christian is the only school that serves dyslexia in district 35, we were fortunate to be able to have a lengthy conversation with Representative Ed Setzler in his office about the above bills as well as other matters concerning our students. Representative Setzler is very supportive of our school and what we do, and supports both of the above bills when they get to the House. 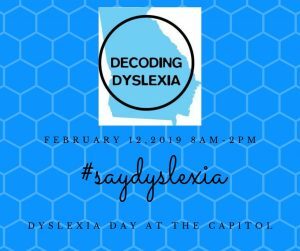 ♦ We were also able to, along with the leaders at other dyslexia schools, reach out and talk to other advocates for dyslexia including groups such as Decoding Dyslexia-Georgia and International Dyslexia Association-Georgia Chapter. 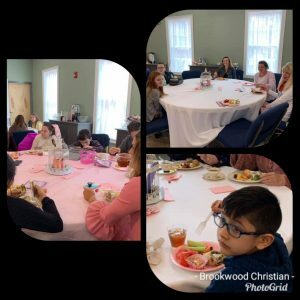 ♦ We plan to begin working more closely with both of those organizations, as well as others that will benefit our families, to offer informative workshops and seminars for our parents at Brookwood, now that we have adequate space to do so! ♦ We are in the process of beginning a closed Facebook group exclusively for our school’s families so that you all may ask questions and share information, and we can easily share things too. We will let you know when that is up and running. We are fortunate to have such supportive families and a wonderful staff that we can take the time to do this. We plan to continue such advocacy for our families and we thank all of you, our local community, and our elected officials that support us. Depending on your tax situation your child’s tuition may count as a deduction for “medical” expenses, your accountant will be able to offer more advice. Below are the instructions for printing your 2018 tuition total (Spring 2017-2018 plus Fall 2018-2019). Once printed, attach with the Tax Letter (click HERE) and give to your accountant. 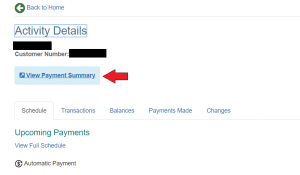 You should also be able to print as a pdf and email with the Tax Letter letter if necessary. Early identification will greatly increase the effectiveness of any programs we use. If you’re able to attend, get there a few minutes early to sign up for public comment to express your support for Mandatory Early Screening. They need to hear from us! If you’re not able to make it in person, the meeting will be broadcast live, CLICK HERE TO WATCH. Please contact your senator (look up HERE) to ask that they support this bill, by reaching out via email, social media, or calling. EDIT: It appears this information is from last spring, was shared yesterday, and when we saw it, didn’t pay attention to original date :-/ We are researching this to find out if it passed or what parts did, and will keep you updated when we find out. We apologize for any confusion. Tomorrow is the last day of the Georgia legislative session. Section 2, lines 60-81 of SB139 (text of bill HERE) includes language that would allow students who qualify for the Georgia Special Needs Scholarship (SB10) to not have to “re-qualify” by completing another year of public school if their families try an alternative option such as returning to public school, homeschooling, or attending another private school that does not accept scholarship. Currently, the student would have to complete another entire year of public school if you want to use the scholarship in the future. Contact your state house and senate representatives TONIGHT to voice your support for the Georgia Special Needs Scholarship language in SB139! You can look up your legislator HERE.